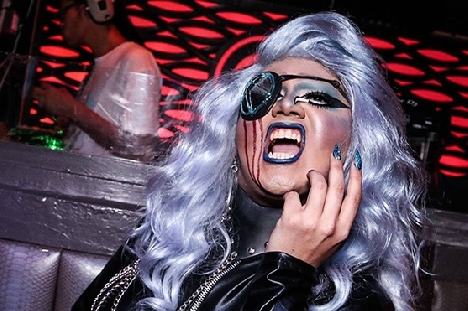 Mocha Fapalatte, mother of the Haus of Dolls, is a Bay Area local drag performer. Her style is a blend of horror, glamour, burlesque, and visual kei. She deludes herself as the highest paid gothic drag queen stripper of Oakland, but in reality she's just trash. But, hey, at least trash gets taken out, right? Mocha is the hostess and producer for Ethereal Dollhouse (White Horse Bar, Oakland) and Apocrypha (SF Eagle, SF), cohost for Doubletake-Over (QBar, SF), and the 2017 GAPA (Gay Asian Pacific Alliance) 1st Princess. For more info: facebook.com/mochafapalatte/ Instagram: @mochafapalatte.